A range of water boilers that would compliment any workplace. All systems are built with a sleek stainless steel design that ensures maximum heat insulation and minimum enery use. The 1000C-Compact is designed for those locations where space is limited but standards are high. It features a self-diagnostics system and a stainless steel mirror finished steel case. 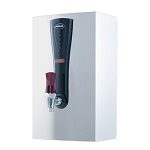 It is designed for direct connection to a portable cold water supply and has an hour output of 27 litres. 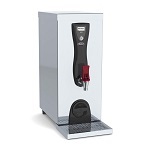 The WA2N is a wall mounted water boiler which provides a plentiful supply of boiling water. 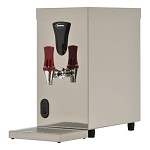 It features a large heavy duty non drip tap and a mirror finish stainless steel case, with an hourly output of 18litres.